This article describes the structure of an Azure Resource Manager template. It presents the different sections of a template and the properties that are available in those sections. The template consists of JSON and expressions that you can use to construct values for your deployment. This article is intended for users who have some familiarity with Resource Manager templates. It provides detailed information about the structure and syntax of the template. If you want an introduction to creating a template, see Create your first Azure Resource Manager template. $schema Yes Location of the JSON schema file that describes the version of the template language. contentVersion Yes Version of the template (such as 1.0.0.0). You can provide any value for this element. Use this value to document significant changes in your template. When deploying resources using the template, this value can be used to make sure that the right template is being used. apiProfile No An API version that serves as a collection of API versions for resource types. Use this value to avoid having to specify API versions for each resource in the template. When you specify an API profile version and don't specify an API version for the resource type, Resource Manager uses the API version for that resource type that is defined in the profile. The API profile property is especially helpful when deploying a template to different environments, such as Azure Stack and global Azure. Use the API profile version to make sure your template automatically uses versions that are supported in both environments. For a list of the current API profile versions and the resources API versions defined in the profile, see API Profile. For more information, see Track versions using API profiles. parameters No Values that are provided when deployment is executed to customize resource deployment. variables No Values that are used as JSON fragments in the template to simplify template language expressions. functions No User-defined functions that are available within the template. resources Yes Resource types that are deployed or updated in a resource group or subscription. outputs No Values that are returned after deployment. Each element has properties you can set. This article describes the sections of the template in greater detail. Template functions and their parameters are case-insensitive. For example, Resource Manager resolves variables('var1') and VARIABLES('VAR1') as the same. When evaluated, unless the function expressly modifies case (such as toUpper or toLower), the function preserves the case. Certain resource types may have case requirements irrespective of how functions are evaluated. To have a literal string start with a bracket [, but not have it interpreted as an expression, add an extra bracket to start the string with [[. To pass a string value as a parameter to a function, use single quotes. To escape double quotes in an expression, such as adding a JSON object in the template, use the backslash. A template expression can't exceed 24,576 characters. For the full list of template functions, see Azure Resource Manager template functions. In the parameters section of the template, you specify which values you can input when deploying the resources. These parameter values enable you to customize the deployment by providing values that are tailored for a particular environment (such as dev, test, and production). You don't have to provide parameters in your template, but without parameters your template would always deploy the same resources with the same names, locations, and properties. You're limited to 256 parameters in a template. You can reduce the number of parameters by using objects that contain multiple properties, as shown in this article. type Yes Type of the parameter value. The allowed types and values are string, securestring, int, bool, object, secureObject, and array. defaultValue No Default value for the parameter, if no value is provided for the parameter. allowedValues No Array of allowed values for the parameter to make sure that the right value is provided. minValue No The minimum value for int type parameters, this value is inclusive. maxValue No The maximum value for int type parameters, this value is inclusive. minLength No The minimum length for string, secure string, and array type parameters, this value is inclusive. maxLength No The maximum length for string, secure string, and array type parameters, this value is inclusive. description No Description of the parameter that is displayed to users through the portal. For more information, see Comments in templates. The following example shows a simple parameter definition. It defines the name of the parameter, and specifies that it takes a string value. The parameter only accepts values that make sense for its intended use. It specifies a default value when no value is provided during deployment. Finally, the parameter includes a description of its use. "description": "The type of replication to use for the storage account." "description": "The site name. To use the default value, do not specify a new value." "description": "The host name. To use the default value, do not specify a new value." You can't use the reference function in the parameters section. Parameters are evaluated before deployment so the reference function can't get the runtime state of a resource. It can be easier to organize related values by passing them in as an object. This approach also reduces the number of parameters in the template. Define the parameter in your template and specify a JSON object instead of a single value during deployment. Then, reference the subproperties of the parameter by using the dot operator. These example templates demonstrate some scenarios for using parameters. Deploy them to test how parameters are handled in different scenarios. parameters with functions for default values Demonstrates how to use template functions when defining default values for parameters. The template doesn't deploy any resources. It constructs parameter values and returns those values. parameter object Demonstrates using an object for a parameter. The template doesn't deploy any resources. It constructs parameter values and returns those values. In the variables section, you construct values that can be used throughout your template. You don't need to define variables, but they often simplify your template by reducing complex expressions. For information about using copy to create several values for a variable, see Variable iteration. The following example shows a variable definition. It creates a string value for a storage account name. It uses several template functions to get a parameter value, and concatenates it to a unique string. You use the variable when defining the resource. You can use complex JSON types to define related values for an environment. In parameters, you create a value that indicates which configuration values to use. These example templates demonstrate some scenarios for using variables. Deploy them to test how variables are handled in different scenarios. variable definitions Demonstrates the different types of variables. The template doesn't deploy any resources. It constructs variable values and returns those values. configuration variable Demonstrates the use of a variable that defines configuration values. The template doesn't deploy any resources. It constructs variable values and returns those values. network security rules and parameter file Constructs an array in the correct format for assigning security rules to a network security group. Within your template, you can create your own functions. These functions are available for use in your template. Typically, you define complicated expression that you don't want to repeat throughout your template. You create the user-defined functions from expressions and functions that are supported in templates. The function can't access variables. The function can only use parameters that are defined in the function. When you use the parameters function within a user-defined function, you're restricted to the parameters for that function. The function can't call other user-defined functions. The function can't use the reference function. Parameters for the function can't have default values. In the resources section, you define the resources that are deployed or updated. condition No Boolean value that indicates whether the resource will be provisioned during this deployment. When true, the resource is created during deployment. When false, the resource is skipped for this deployment. See condition. apiVersion Yes Version of the REST API to use for creating the resource. To determine available values, see template reference. type Yes Type of the resource. This value is a combination of the namespace of the resource provider and the resource type (such as Microsoft.Storage/storageAccounts). To determine available values, see template reference. For a child resource, the format of the type depends on whether it's nested within the parent resource or defined outside of the parent resource. See child resources. name Yes Name of the resource. The name must follow URI component restrictions defined in RFC3986. In addition, Azure services that expose the resource name to outside parties validate the name to make sure it isn't an attempt to spoof another identity. For a child resource, the format of the name depends on whether it's nested within the parent resource or defined outside of the parent resource. See child resources. location Varies Supported geo-locations of the provided resource. You can select any of the available locations, but typically it makes sense to pick one that is close to your users. Usually, it also makes sense to place resources that interact with each other in the same region. Most resource types require a location, but some types (such as a role assignment) don't require a location. tags No Tags that are associated with the resource. Apply tags to logically organize resources across your subscription. comments No Your notes for documenting the resources in your template. For more information, see Comments in templates. copy No If more than one instance is needed, the number of resources to create. The default mode is parallel. Specify serial mode when you don't want all or the resources to deploy at the same time. For more information, see Create several instances of resources in Azure Resource Manager. dependsOn No Resources that must be deployed before this resource is deployed. Resource Manager evaluates the dependencies between resources and deploys them in the correct order. When resources aren't dependent on each other, they're deployed in parallel. The value can be a comma-separated list of a resource names or resource unique identifiers. Only list resources that are deployed in this template. Resources that aren't defined in this template must already exist. Avoid adding unnecessary dependencies as they can slow your deployment and create circular dependencies. For guidance on setting dependencies, see Defining dependencies in Azure Resource Manager templates. properties No Resource-specific configuration settings. The values for the properties are the same as the values you provide in the request body for the REST API operation (PUT method) to create the resource. You can also specify a copy array to create several instances of a property. To determine available values, see template reference. sku No Some resources allow values that define the SKU to deploy. For example, you can specify the type of redundancy for a storage account. kind No Some resources allow a value that defines the type of resource you deploy. For example, you can specify the type of Cosmos DB to create. plan No Some resources allow values that define the plan to deploy. For example, you can specify the marketplace image for a virtual machine. resources No Child resources that depend on the resource being defined. Only provide resource types that are permitted by the schema of the parent resource. Dependency on the parent resource isn't implied. You must explicitly define that dependency. See child resources. When you must decide during deployment whether to create a resource, use the condition element. The value for this element resolves to true or false. When the value is true, the resource is created. When the value is false, the resource isn't created. The value can only be applied to the whole resource. For a complete example template that uses the condition element, see VM with a new or existing Virtual Network, Storage, and Public IP. If you use a reference or list function with a resource that is conditionally deployed, the function is evaluated even if the resource isn't deployed. You get an error if the function refers to a resource that doesn't exist. Use the if function to make sure the function is only evaluated for conditions when the resource is deployed. See the if function for a sample template that uses if and reference with a conditionally deployed resource. Resource names that must be unique. Resource names that aren't required to be unique, but you choose to provide a name that can help you identify the resource. Resource names that can be generic. 1 Storage account names also must be lowercase, 24 characters or less, and not have any hyphens. For some resource types, you might want to provide a name for identification, but the name doesn't have to be unique. For these resource types, provide a name that describes it use or characteristics. "description": "The name of the VM to create." When deploying a template, you must provide a location for each resource. Different resource types are supported in different locations. To get the supported locations for a resource type, see Azure resource providers and types. Use a parameter to specify the location for resources, and set the default value to resourceGroup().location. Within some resource types, you can also define an array of child resources. Child resources are resources that only exist within the context of another resource. For example, a SQL database can't exist without a SQL server so the database is a child of the server. You can define the database within the definition for the server. But, you don't have to define the database within the server. You can define the child resource at the top level. You might use this approach if the parent resource isn't deployed in the same template, or if want to use copy to create more than one child resource. With this approach, you must provide the full resource type, and include the parent resource name in the child resource name. The values you provide for type and name vary based on whether the child resource is defined within the parent resource or outside of the parent resource. When nested, the type is set to databases but its full resource type is still Microsoft.Sql/servers/databases. You don't provide Microsoft.Sql/servers/ because it's assumed from the parent resource type. The child resource name is set to exampledatabase but the full name includes the parent name. You don't provide exampleserver because it's assumed from the parent resource. In the Outputs section, you specify values that are returned from deployment. Typically, you return values from resources that were deployed. condition No Boolean value that indicates whether this output value is returned. When true, the value is included in the output for the deployment. When false, the output value is skipped for this deployment. When not specified, the default value is true. type Yes Type of the output value. Output values support the same types as template input parameters. If you specify securestring for the output type, the value isn't displayed in the deployment history and can't be retrieved from another template. To use a secret value in more than one template, store the secret in a Key Vault and reference the secret in the parameter file. For more information, see Use Azure Key Vault to pass secure parameter value during deployment. value Yes Template language expression that is evaluated and returned as output value. For a simple example of conditional output, see conditional output template. You can retrieve the output value from a linked template by using the reference function. To get an output value from a linked template, retrieve the property value with syntax like: "[reference('deploymentName').outputs.propertyName.value]". When getting an output property from a linked template, the property name can't include a dash. The following example shows how to set the IP address on a load balancer by retrieving a value from a linked template. You can't use the reference function in the outputs section of a nested template. To return the values for a deployed resource in a nested template, convert your nested template to a linked template. Copy variables Creates complex variables and outputs those values. Doesn't deploy any resources. Public IP address Creates a public IP address and outputs the resource ID. Load balancer Links to the preceding template. Uses the resource ID in the output when creating the load balancer. You have a few options for adding comments and metadata to your template. You can add a metadata object almost anywhere in your template. Resource Manager ignores the object, but your JSON editor may warn you that the property isn't valid. In the object, define the properties you need. For parameters, add a metadata object with a description property. "description": "User name for the Virtual Machine." When deploying the template through the portal, the text you provide in the description is automatically used as a tip for that parameter. For resources, add a comments element or a metadata object. The following example shows both a comments element and a metadata object. "comments": "These tags are needed for policy compliance." For outputs, add a metadata object to the output value. "comments": "Return the fully qualified domain name"
You can't add a metadata object to user-defined functions. For inline comments, you can use // but this syntax doesn't work with all tools. 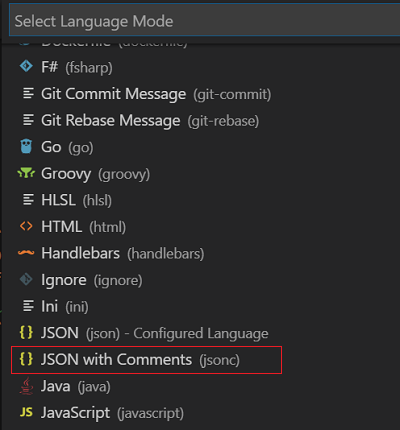 You can't use Azure CLI to deploy the template with inline comments. And, you can't use the portal template editor to work on templates with inline comments. If you add this style of comment, be sure the tools you use support inline JSON comments. Use the Azure portal Generate a template using the portal, and understand the process of editing and deploying the template. Use Visual Studio Code Use Visual Studio Code to create and edit templates, and how to use the Azure Cloud shell to deploy templates. Use Visual Studio Use Visual Studio to create, edit, and deploy templates. Utilize template reference Utilize the template reference documentation to develop templates. In the tutorial, you find the storage account schema, and use the information to create an encrypted storage account. Create multiple instances Create multiple instances of Azure resources. In the tutorial, you create multiple instances of storage account. Set resource deployment order Define resource dependencies. In the tutorial, you create a virtual network, a virtual machine, and the dependent Azure resources. You learn how the dependencies are defined. Use conditions Deploy resources based on some parameter values. In the tutorial, you define a template to create a new storage account or use an existing storage account based on the value of a parameter. Integrate key vault Retrieve secrets/passwords from Azure Key Vault. In the tutorial, you create a virtual machine. The virtual machine administrator password is retrieved from a Key Vault. Create linked templates Modularize templates, and call other templates from a template. In the tutorial, you create a virtual network, a virtual machine, and the dependent resources. The dependent storage account is defined in a linked template. Deploy virtual machine extensions Perform post-deployment tasks by using extensions. In the tutorial, you deploy a customer script extension to install web server on the virtual machine. Deploy SQL extensions Perform post-deployment tasks by using extensions. In the tutorial, you deploy a customer script extension to install web server on the virtual machine. Secure artifacts Secure the artifacts needed to complete the deployments. In the tutorial, you learn how to secure the artifact used in the Deploy SQL extensions tutorial. Use safe deployment practices Use Azure Deployment manager. Tutorial: Troubleshoot Resource Manager template deployments Troubleshoot template deployment issues. These tutorials can be used individually, or as a series to learn the major Resource Manager template development concepts. To view complete templates for many different types of solutions, see the Azure Quickstart Templates. For details about the functions you can use from within a template, see Azure Resource Manager Template Functions. To combine several templates during deployment, see Using linked templates with Azure Resource Manager. For recommendations about creating templates, see Azure Resource Manager template best practices. For recommendations on creating Resource Manager templates that you can use across all Azure environments and Azure Stack, see Develop Azure Resource Manager templates for cloud consistency.